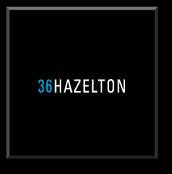 36 Hazelton Avenue is located at the centre of Yorkville and Toronto’s most exclusive neighborhood. With only 19 suites this is certainly a boutique and elite condominium. Suites range in size from 1800 sq ft to 2200 sq ft and penthouses up to 6000 sq ft ; these units are definitely the definition of luxury! Enjoy the tree-lined streets of Yorkville, the world class shopping and Toronto’s finest restaurants, 36 Hazelton is the address that offers it all. CONTACT US WITH ANY QUESTIONS OR TO VIEW CURRENT LISTINGS FOR THE YORKVILLE AREA.